Thirty years ago this week, I was working full-time hours (or close to them) at my part-time job. Although I attended the Penn State mothership in State College, between semesters – and even a few weekends during the semesters themselves – I punched a literal time clock at the Abraham & Straus department store in the Willow Grove Mall in Willow Grove, Pa. The big movies, this month, were Rocky IV, Spies Like Us, The Color Purple and Out of Africa. NBC’s Thursday-night lineup of The Cosby Show, Family Ties, Cheers, Night Court and Hill Street Blues ruled TV – though, for my part, I barely watched anything beyond the Flyers and Miami Vice while at school, and the latter was because a buddy watched it. I’ve covered this same basic time frame in past Top 5s – Summer 1985, October 1985 and January/February 1986. It was, dare I say, a fun time in my life aside from one not-so-fun fact: I had a cold this week that was getting worse by the hour. The cold did not, however, keep me from my appointed rounds – I selected my Album of the Year, which was Lone Justice’s self-titled debut, as I did (and do) every year. 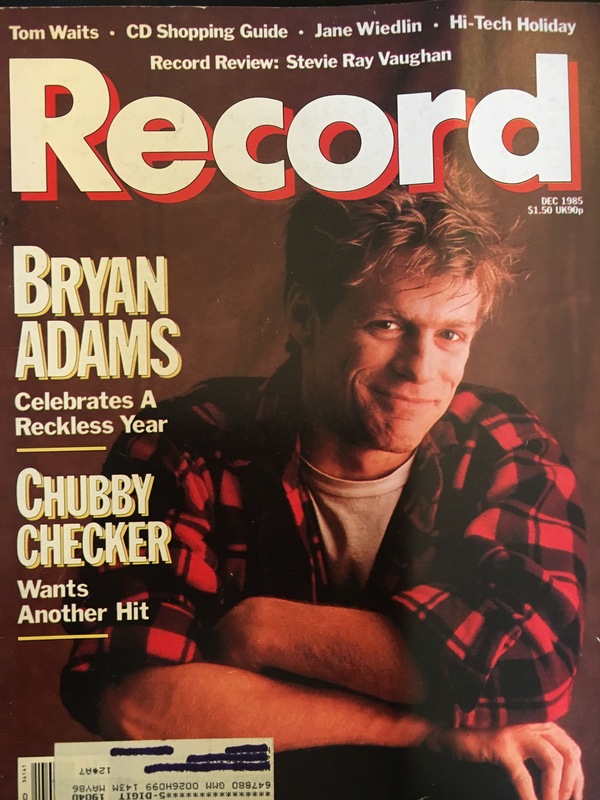 Anyway, this issue of Record features Bryan Adams on the cover; I didn’t care for his music then, and still don’t care for it now. 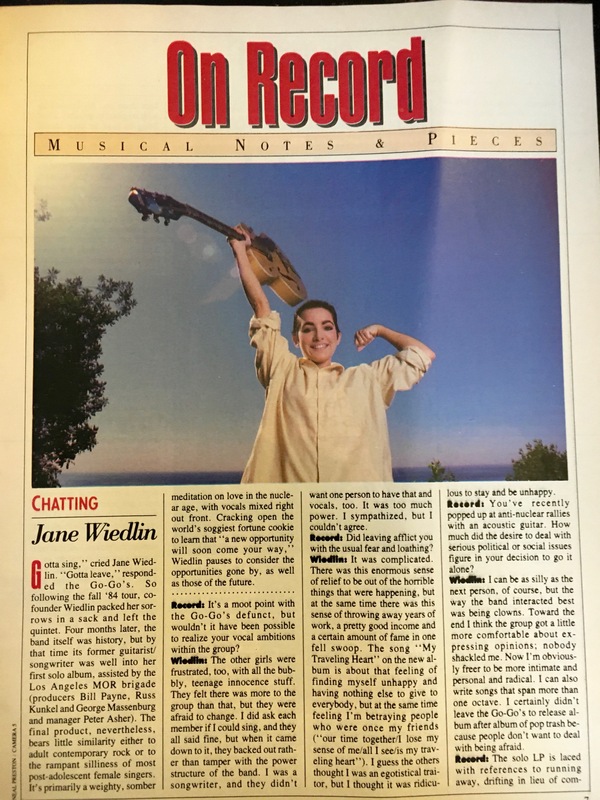 What excited me the most: a Q&A with Jane Wiedlin, who talks about leaving the Go-Go’s and recording/releasing her solo debut, which came out in October. Q: Did leaving afflict you with the usual fear and loathing? A: It was complicated. There was this enormous sense of relief to be out of the horrible things that were happening, but at the same time there was this sense of throwing away years of work, a pretty good income and a certain amount of fame in one fell swoop. “Blue Kiss,” the lead single, is a sweet pop confection that, to my ears, sounds like a Go-Go’s outtake; all that’s missing is Belinda Carlisle singing lead. And, if Belinda had sung lead, I’d wager it would’ve made the Top 10 instead of stalling at No. 77. 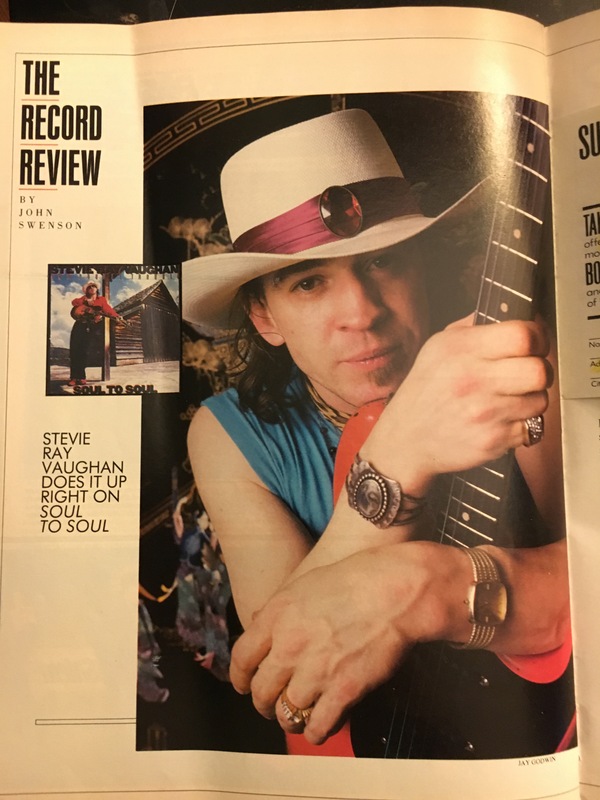 Like I’ve said elsewhere, I’ve never been much of a Hall & Oates fan – I like(d) some of their hits, but never enough to buy anything beyond their Rock ’n’ Soul, Vol. 1, collection. That said, you have to give them their due for sharing their love of Motown. 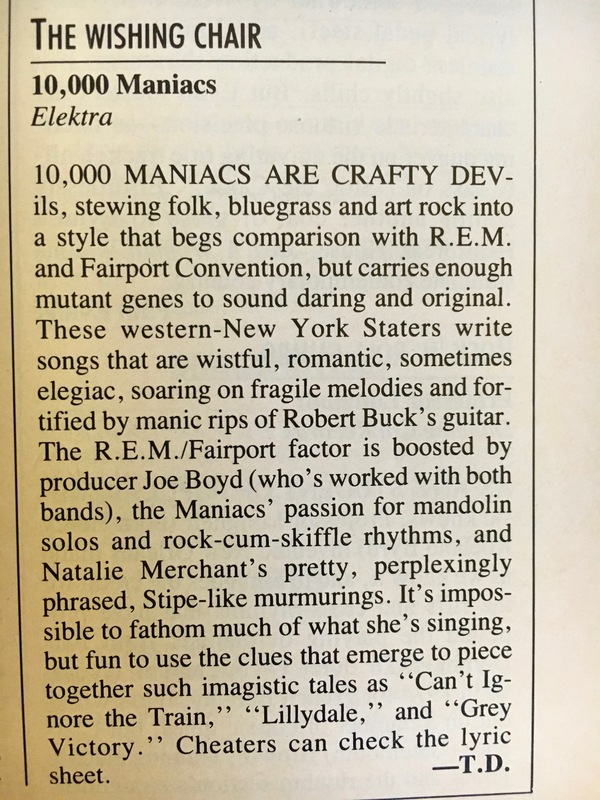 5) Marshall Crenshaw – “I’m Sorry (But So Is Brenda Lee).” Ira Robbins (late of Trouser Press?) says of Crenshaw’s third album, Downtown, “Affecting, unaffected singing supported by sharp, spare rock backing and succinct production make this as fine a record as any he’s made, and the perfect antidote to the synthesized dance-pop so prevalent nowadays.” Perhaps. Perhaps not.